It doesn’t look like much – a sparse basement conference room filled with folding tables and guys in sweatshirts and baseball caps quietly taking notes. 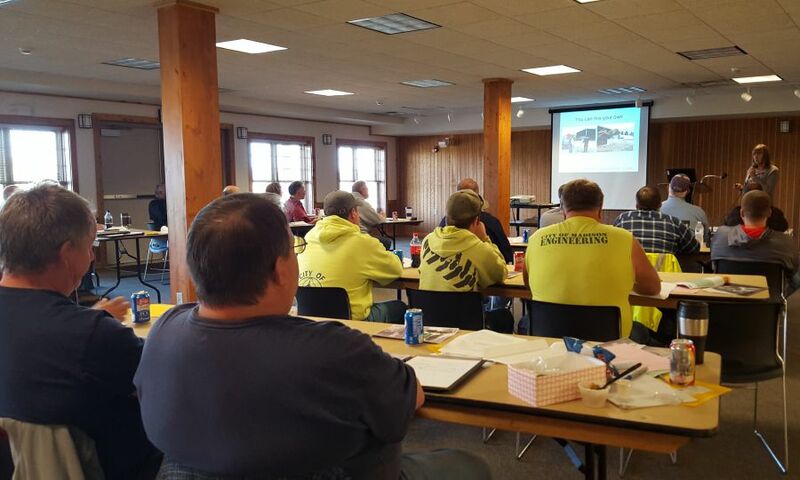 But organizers say that this – one of the first road salt application training classes ever held in Madison – is about as important as it gets. “All the salt we put down is ending up in our waterways … people are really starting to pay attention,” says Kathy Lake, environmental specialist with the Madison Metropolitan Sewerage District (MMSD). “Road salt is very inexpensive. It’s a cheap insurance policy against liability, but it has impacts and they are widespread,” explains Madison Water Utility water quality manager Joe Grande. "I think we have the opportunity to lead on this issue, but there are other municipalities that are ahead of us." According to a report from Public Health Madison Dane County, nearly 30,000 tons of salt were been dumped on Madison and Dane Co. roads in the winter of 2014-15, and that doesn't include what was spread on county highways, parking lots, sidewalks and driveways. Experts say it’s far too much, adding up to an enormous environmental problem in our area. That’s why Madison Water Utility, MMSD, and the Madison Area Municipal Stormwater Partnership are coming together to host trainings like this one aimed at teaching private contractors and municipalities how to keep salt use in check. 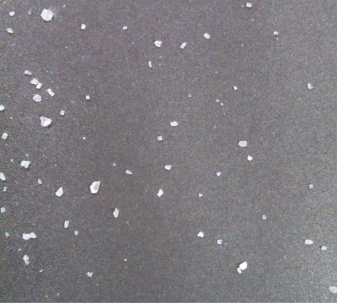 Madisonians don’t have to look far to see the damage road salt has already caused. On University Ave. near Whitney Way, a small municipal facility sits at the center of some very big concerns. Madison Water Utility Well 14 pumps about 750 million gallons of drinking water to nearby homes and businesses every year, but the groundwater that feeds it contains high levels of sodium and chloride, the chemicals that make up road salt. Chloride levels in water pumped from the well have doubled in the last 15 years to around 125 mg/L and show no signs of decreasing. Grande says the presence of chloride doesn’t make the water unsafe, but it is the component of salt that causes the “salty” taste. For substances like chloride, which aren't considered a health threat, the EPA sets an aesthetic standard called a secondary maximum contaminant level (SMCL). If current trends continue, Madison Water Utility projects that chloride levels will exceed the SMCL in about 17 years, at which time the water may be difficult to drink because of the salty taste. Sodium levels at Well 14 are around 45 mg/L, higher than the recommended limit for people on salt-restricted diets. Finding a solution to the issue at Well 14 alone will be costly and difficult. In early 2017, Madison Water Utility will analyze the well’s bore hole in an effort to pinpoint which areas below ground are contributing the most sodium chloride to water pumped from the well. From there, the utility will look at every available option -- from rebuilding part of the well in order to draw water from deeper in the aquifer to on-site desalination treatment to abandoning the well entirely. Pulling water from deeper in the aquifer could bring a new set of challenges, since deep aquifer water often contains naturally-occurring iron and manganese and sometimes radium. Meantime, officials with the city and county have partnered in an effort to reduce salt application on University Ave., which is maintained by Dane Co. road crews. The county will use anti-icers to spray brine on University Ave. before a winter storm hits, helping make plows more effective and reducing the amount of salt needed to clear the roadway. City crews will also brine smaller neighborhood streets near the well, using two new anti-icing trucks just added to the fleet. The effort to reduce road salt use in Dane Co. goes far beyond training the people driving the trucks. The WiSaltWise campaign is also focused on educating the general public on responsible road salt use. “Our whole goal is to try to raise awareness. Wisconsin Salt Wise emphasizes that we’re all partners in this,” adds Grande. Lake believes an educated public can put pressure on store owners to make sure large parking lots and sidewalks are properly cared for. Fortin agrees that buy-in from both the public and the people who take care of roads and parking lots is key. Believe it or not, just a coffee mug of salt is enough to treat an entire 20-foot driveway or 10 squares (60-70 feet) of sidewalk. The scatter pattern should look like the image below. Shovel: Clear walkways and other areas before the snow turns to ice. 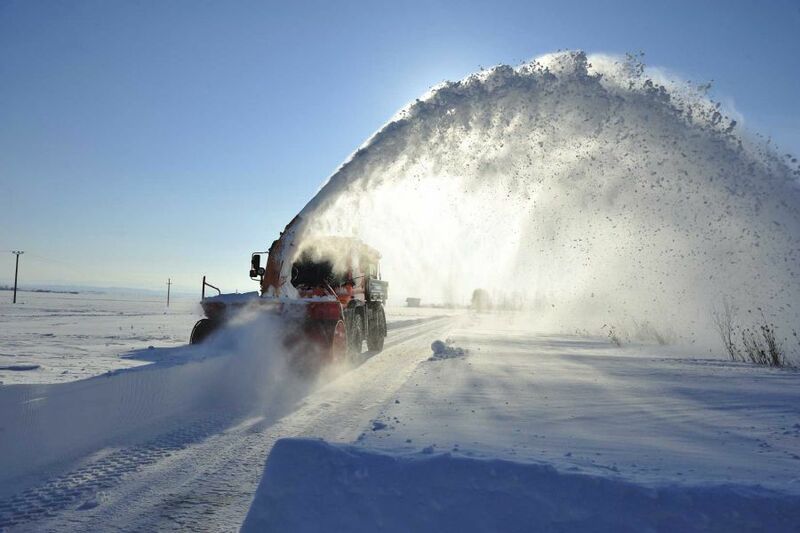 The more snow you remove manually, the less salt you will have to use and the more effective it will be. Switch: When pavement temps drop below 15, salt won’t work. Switch to sand for traction or a different ice melter that works in lower temperatures. Hire a salt wise applicator: Some local applicators have been trained in winter maintenance practices that reduce environmental impacts. Ask potential contractors if they’ve been trained and use practices that reduce salt use such as pre-treating with brine or pre-wetting salt. Look for proper salt use at the stores & businesses you visit. If they’re using the right amount of salt - thank them! If not, let them know about WI Salt Wise. Love the lines: The stripes on the roadway before a storm are anti-icing, they show that your professional maintenance crew is concerned about your safety and is saving money, time and protecting our environment! Be Salt Wise all year: The salt you put in your water softener ends up in local freshwater streams. New, efficient softeners use less than one bag per month. If you’re using more – have a professional tune yours up or, replace it with a high-efficiency model.